"Found to be very cordial, very clean and comfortable sitting area. Impressed!" View a map of our shop location an get directions. Schedule an appointment for maintenace or repairs today. When Should Spark Plugs be Replaced? Posted February 8, 2019 by admin & filed under Car Repair. In order for your gas-powered vehicle to run, it requires proper ignition to start the chain reaction that leads to engine propulsion and the ability to drive. Your ignition system contains several key components, all of which contribute to the process of detonating fuel in order to convert compression into energy and propel your vehicle forward. One of your ignition system’s most important components is also typically the first to wear out and need to be replaced – spark plugs. Spark plugs are typically comprised of a threaded metal shell and a porcelain insulator which isolates the main body from the central electrode, which may or may not contain a resistor. During the ignition process, spark plugs collect deposits such as carbon that are detrimental to performing combustion. If gasoline isn’t ignited properly, several negative consequences will come about: your acceleration will be sluggish, your vehicle’s emissions will potentially be environmentally-harmful and your engine can even shut down completely. 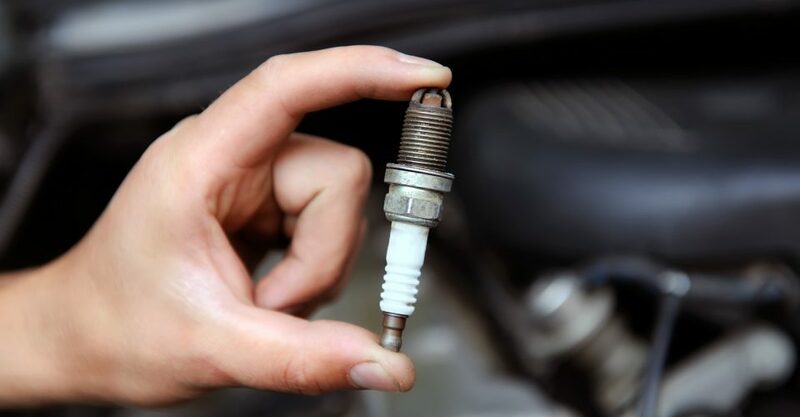 As such, spark plugs are very important to your vehicle’s health and they should be changed out regularly as part of your vehicle’s maintenance schedule. On average, spark plugs will need to be changed out every 10,000 miles or so but some can last longer depending upon a variety of factors. Your vehicle’s service manual should have more detailed information on the recommended replacement intervals for your spark plugs. If you have any questions about your vehicle’s ignition system, be sure to call us at 616-796-9929 or click HERE to schedule an appointment with our ASE-certified technicians!